Made from 100% recycled plastic and natural coconut fibers, these pads will leave behind a green footprint and coconut scent! They are best used on soft to medium finished flooring like finished vinyl tile and concrete. It will produce a high-gloss look while being used with a 27" High-Speed Propane Burnisher. This high-quality pad can be used frequently to clean and polish your floors. To prolong the life of your pad, it is recommended to spray them off with water to get any dirt that may be stuck in your pad. You then want to let dry completely before using again. You do receive 5 pads per case that can be used on each side. 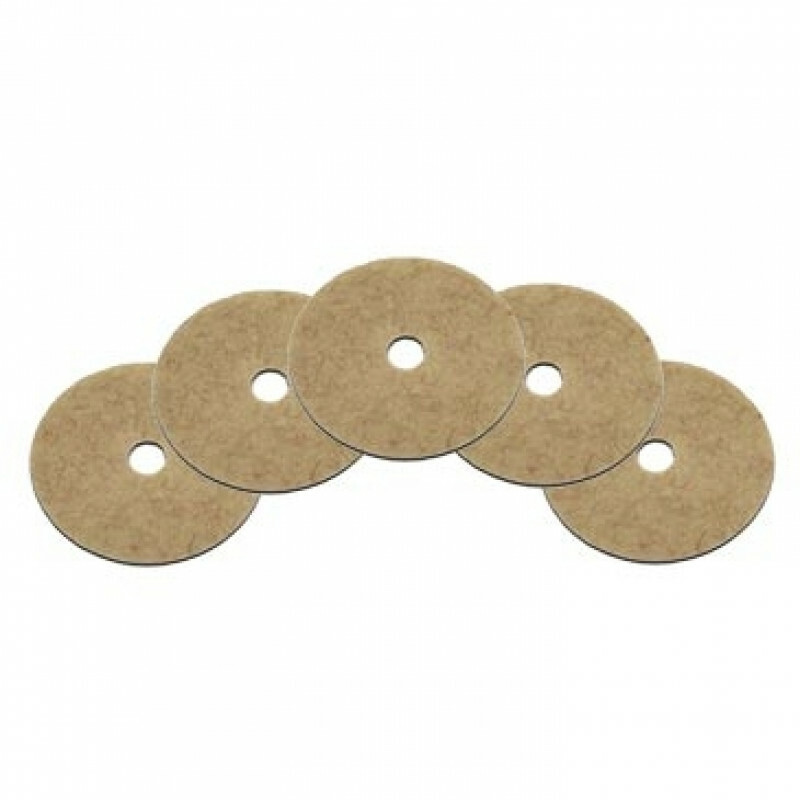 Please feel free to take a look at our full line of burnishing pads for other options.